This mobile app concept was developed as part of UW Dubtech's fourth annual Protothon competition, UW’s only UX competition. 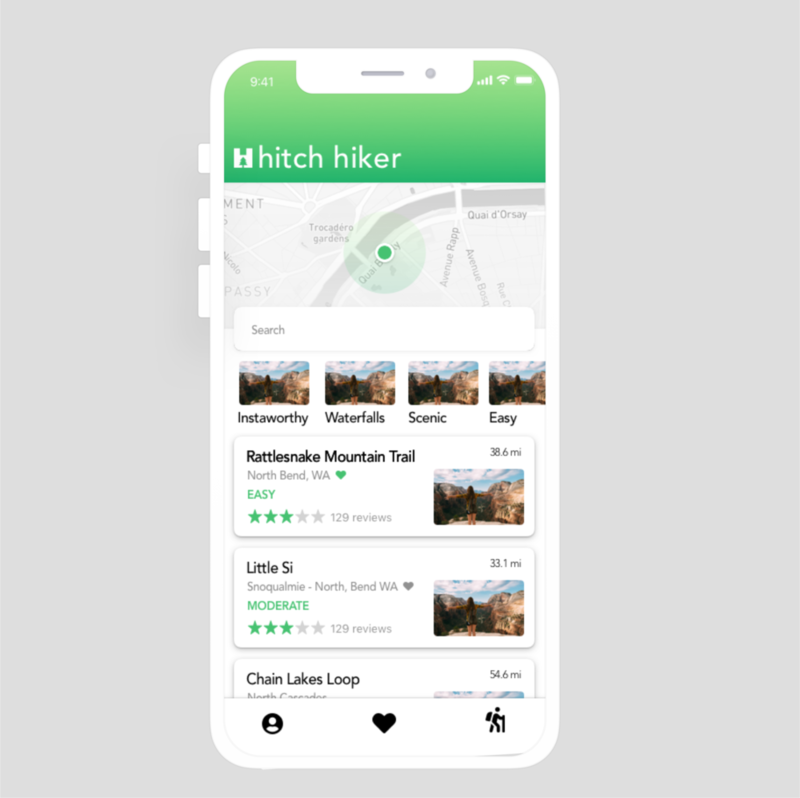 Our team of two tested rapid prototyping and design thinking skills to develop a response that would encourage college students to explore the the Pacific Northwest. Hitch Hiker won third place out of twenty teams!